Frillish in game: 3,763 Who? Important notice! Pokemon Frillish is a fictional character of humans. Frillish (Japanese: ???? 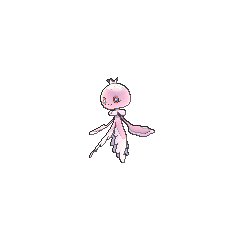 Pururill) is a dual-type Water/Ghost Pokémon introduced in Generation V.
Frillish is a jellyfish-like Pokémon resembling young royalty. 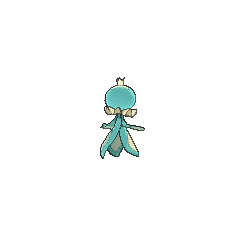 Regardless of gender, it has a round head with a crown-like tuft, and five tentacle-like appendages. It has oval eyes with white pupils, and a collar around its neck. As a male Frillish, it is blue, with smooth appendages and a triangular crown. It has red eyes with blue sclera and a straight eyelash on each eye, its collar is wavy, and it appears to be frowning. As a female Frillish, it is pink, with wavy appendages and a round crown. It has blue eyes with red sclera and a curled eyelash on each eye, its collar is frilled, and it appears to be smiling. 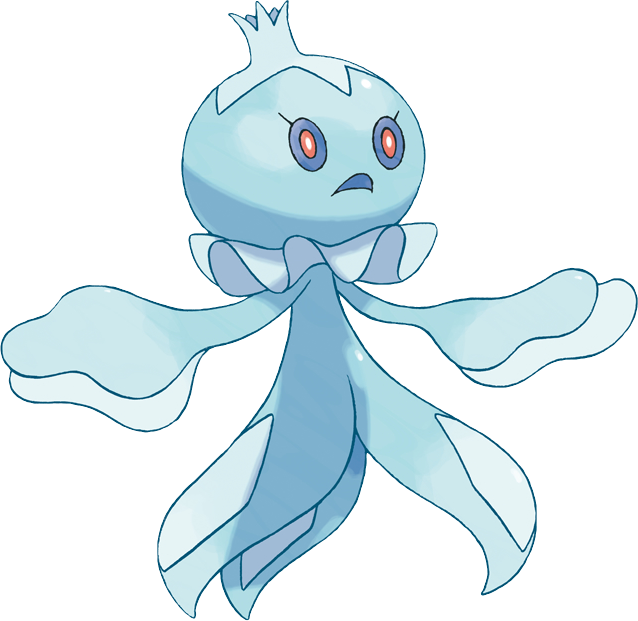 Frillish is a hadopelagic Pokémon which lives in dens about 5 miles (8 kilometers) under the sea surface. Because of this, it can cope with extremely dark and highly pressurized sea conditions. 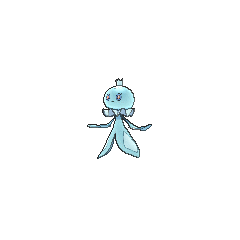 It is carnivorous; it gently floats around in waves until it can strike its prey. It makes its victim numb with the use of its poison and takes it to its deep den. Jessie owns a female Frillish, which first appeared in New Places... Familiar Faces!. A male Frillish under Trip's ownership appeared in A Rival Battle for Club Champ!. 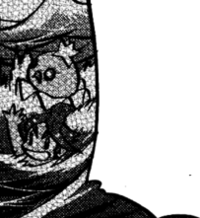 Even with a disadvantage against Ash's Snivy in both type and gender, he managed to defeat her. A female Frillish appeared in A Fishing Connoisseur in a Fishy Competition!. She took a liking to Ash after he fell into the canal. She was later hooked by Bianca during the fishing competition, and when she saw Team Rocket attempting to kidnap the prize Pokémon, she released them all back into the wild. Both male and female Frillish appeared in The Pokémon Harbor Patrol! Male and female Frillish made a cameo appearance in Climbing the Tower of Success!. Both male and female Frillish made a cameo appearance in A Surface to Air Tag Battle Team! A female Frillish appeared in Clash of the Connoisseurs!. A Frillish appeared in Piplup, Pansage, and a Meeting of the Times!. 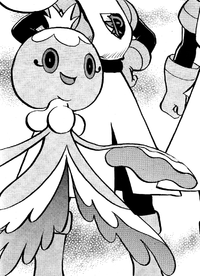 Marlon owned a male Frillish which went on to evolve into a Jellicent. 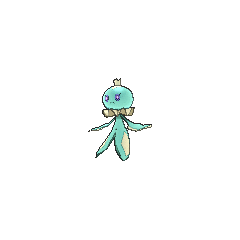 A Team Plasma Grunt used a female Frillish in the Black 2 & White 2 chapter, where she fought against Hugh's Purrloin and Trapinch after Hugh refused to listen to them when they convinced him that he was causing pain to his Pokémon. Frillish was able to weaken Purrloin in which Hugh's sister was forced to recall it in its Poké Ball which was taken by the two grunts afterwards. The Japanese prototype name for Frillish was ???? Purunsu. Frillish and its evolution were most likely inspired by the Nurarihyon, a jellyfish yokai that is either shown as a demonized jellyfish or as a jellyfish-like man who wears refined, sometimes regal, clothing. 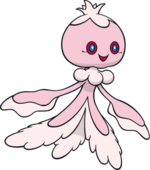 It is also possible that they was inspired by the Kurage no Hinotama, a type of jellyfish-like will-o'-the-wisp. 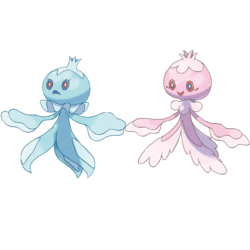 Its design is inspired by the jellyfish and Victorian-style monarch attire: the male form's appearance based on a prince's while the female's is based on a princess'. The moon jellyfish has inspired Frillish in being a ghost type. The two larger arms Frillish possesses are more similar to those of squids than the tentacles of real jellyfish. Frillish and its evolution also have traits in common with sea monsters like the Kraken, most notably their rumored penchant for destroying ships and feeding on the crew. 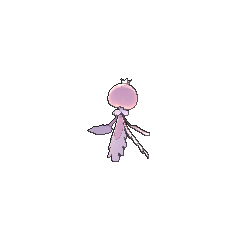 Pururill may be a combination of ???? purupuru (soft) and rill or frill. Mandarin Chinese ??? / ??? Qingpiaopiao Means "Lightly floating"